Community Solar Gardens, or CSGs are positioned to drive the next wave of growth for the solar industry. Until recently, investing in solar energy to offset personal energy consumption was reserved for homeowners with adequate south-facing roof space and good credit. CSGs allow a group of homeowners, renters, condo dwellers, and businesses (essentially anyone) to share the benefits of a single solar installation. Most CSG models today benefit from net metering (NEM) to offset the subscribers personal energy consumption. In essence, net metering allows CSG subscribers to use the grid for energy storage. The CSG generates excess electricity during the day while the subscriber consumes electricity around the clock, and it all levels out at the end of the month. The problem with Net Metering is that electric utilities hate it. Indeed, as solar penetration levels reach a certain level net metering will no longer be viable, as it pushes all the costs of maintaining the grid to the remaining non-solar customers. As utilities fight net metering it seems conceivable that the CSG model will be adopted as an instrument of grid defection for customers to take advantage of plummeting cost of solar panels and batteries. As it becomes economical to disconnect from the grid in places like Hawaii and the Caribbean, shared solar models will be a way to bring microgrids to entire neighborhoods. Neighborhoods will be able to share a central solar installation, battery bank, wind turbines, and backup generator. A Shared Microgrid model could send price signals to incentivize subscribers to use energy when it is abundant. Energy prices could potentially be free during solar hours, cheap when batteries are full, and very expensive when batteries get low. The kicker: A Shared Microgrid model could speed up the utility death spiral that makes such a model even more economical. 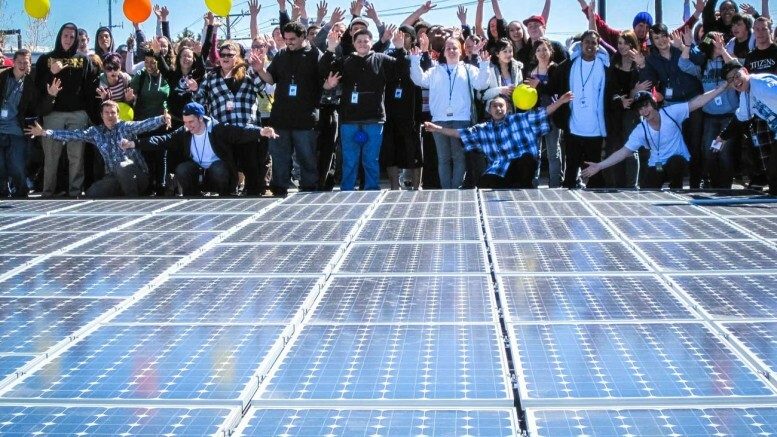 New York regulators are pushing for microgrid projects to join with community solar gardens. More soon. Be the first to comment on "How Community Solar Gardens and Microgrids Could Revolutionize Energy"